Home » Uncategorized » What is wet sanding and when does my car need that? What is wet sanding and when does my car need that? 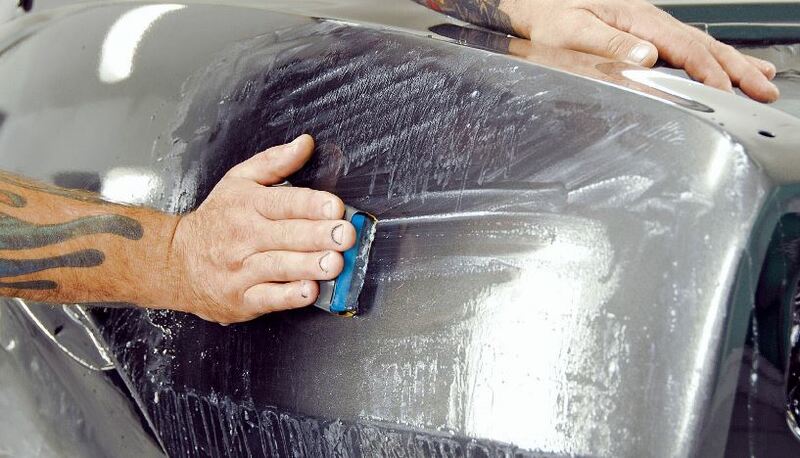 Wet sanding is a technique used by automotive detailers to correct deep gouges, scratches, or swirls on the surface of a vehicle’s paint. Over the lifetime of a vehicle, the paint is going to be assaulted by the environment in which you drive, but that’s why there is a protective layer on top called the clear coat. The clear coat on your car protects it from the powerful UV rays of the sun, as well as sap, tar and other road grime. Amazingly, the clear coat on your car is thinner than a dollar bill! That’s why taking care of your car’s finish is crucial to the longevity of the appearance of your car. As our cars age, maybe we don’t get around to washing or waxing it as often as we’d like to. Your car keys slip and scratch your door. Your kid tries to help you wash the car and gets swirls marks all over the paint. Either way, scratches and swirls are a fact of a car’s life. They will happen, even if you keep a watchful eye on your car in the garage. That’s where wet sanding comes in. This technique involves extremely fine sandpaper and a lubricant of some sort, usually water. This should be used only in the worse situations, after buffing, compounding, and polishing have failed. It’s recommended that wet sanding be done is a spot correction manner, rather than a whole-car process. Wet sanding can be more effective than compounding because it doesn’t create the same amount of heat as the compounding process generates. Sometimes wet sanding can be used in small, localized spots and lightly hazing the paint to allow polishing to have a greater effect. Wet sanding is a bit of an art, and requires the technician have a certain amount of finesse, as well as the knowledge to know when and where to use it. 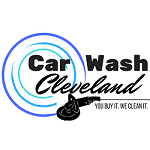 Luckily, Car Wash Cleveland has just such technicians! Here we have the necessary knowledge of materials and experience with them to consistently provide the highest quality of service. We are experts in the wide range of paint technologies used, clear coats and how they react to different compound and polishes, as well as a variety of difficult surfaces to manage such as carbon fiber. If you have scratches or swirls that need some attention, give our experts a call so we may assist you in getting your ride to look it’s very best! We come highly recommended, but don’t take our word for it. Read our reviews. ← Does My Ride Need a Car Wash or a Detail?